Ian graduated from Bristol University in 1998. 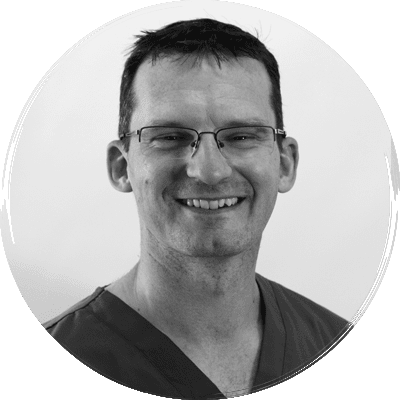 Following periods working in mixed practice and small animal practice he returned to Bristol at the beginning of 2001 to complete a four-year residency in Small Animal Internal Medicine. Ian was awarded the RCVS and European Diplomas in Small Animal Internal Medicine in 2005 and RCVS Specialist status in 2007. Ian now heads the internal medicine department at Davies Veterinary Specialists, and with Ronan Doyle developed the Davies interventional radiology service. Ian has worked on a variety of commitees in different roles and chaired the Small Animal Medicine Society. Ian also chaired the group which developed the BSAVA/SAMSOC, ‘ARE YOU PROTECTING?’ antibiotic campaign. He was awarded the BSAVA Melton award in 2013 for meritorious contributions to small animal practice and was awarded Fellowship of the Royal College of Veterinary Surgeons for Meritorious Contributions to Clinical Practice (MCCP) in 2017. Ian’s other interests include rabies elimination in underdeveloped countries and is chairman of the board of trustee of the charity Misson Rabies. He is also a member of the DEFRA Core Rabies Group.